In order to better understand the word spiritual I want to try to look at it in terms of frames. George Lakoff defines frames as "mental structures that shape the way we see the world." (2004, p. xv). Frames unconsciously structure of our thoughts, our intentions, and our memories. We each have thousands of frames. We develop them partly through exploring our physical environment and partly through interacting with our social environment. So my frames will be similar to yours to the extent that our physical and social environments are similar. The resulting structures are encoded in physical structures in the brain. Words are defined with respect to frames. A word like "mother" doesn't just just refer to the woman who gave birth to us, but invokes the frames of all the attributes we associate with all mothers and mothering: birth, nurture, fertility, gestation and so on. But the particular associations are based on social conventions. 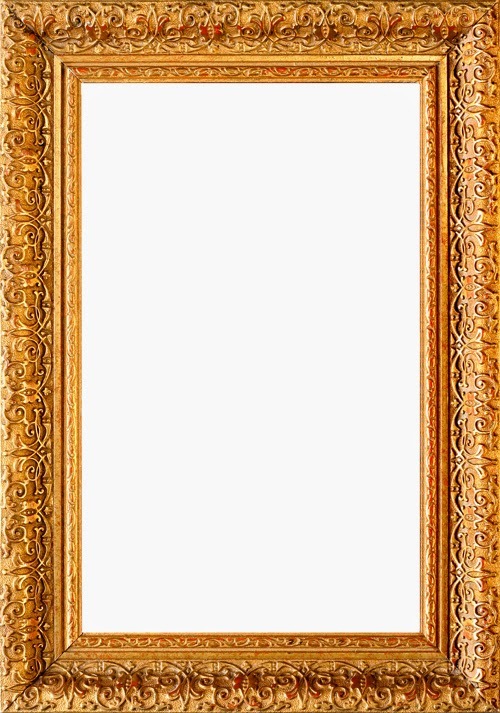 When we use a word we automatically invoke frames associated with it. "Don't think of an elephant"
Most people can't see or hear this statement and help thinking of an elephant and associated images and ideas. The words we use in a discussion or debate are not neutral. Because of frames. There is an ongoing discussion over how to define Buddhism which is largely concerned with marketing. Typically the argument is quite one dimensional. Buddhism is a religion and thus offers solutions to traditional religious problems, i.e. "Where did we come from?" or "What happens after we die?" or "Why is life unfair?" Buddhism is a philosophy and concerned with traditional philosophical questions, i.e. "What is there?" or "What can we know about what is there?" or "What should we do in hypothetical situations?" Buddhism is a way of life and concerned largely with moral questions, i.e. "How should we live?" Frames also make it possible to sum up arguments in slogans. And it's against this background that I want to look at the word spiritual. What would it mean, for example, to say that Buddhism is a form of spirituality. I've shown that spiritual is historically rooted in the Vitalist idea of the 'breath of life'. However, it's safe to say that spiritual invokes a large number of frames, of which 'breath of life' is now relatively unimportant. So if we say that we are spiritual beings, living spiritual lives, doing spiritual practices, from a spiritual tradition, in order to have spiritual experiences that culminate in a spiritual awakening, just what are we saying? What frames do we invoke? Obviously we can't deal with every detail of thousands of frames, so I want to cover some of the main ones. Here the New Testament Greek word translated as both "Ghost" and "Spirit" is pneuma (see previous essay for the etymology). People with bodies and souls were completed by the descent of pneuma into them. In this day and age where the two basic divisions of the person are mind and body, many people feel that something is missing. They feel that we are more than either mind or body, more than a combination of the two. And what is missing is spirit and part of the spiritual province. This feeling comes about because of a conviction about the truth of Vitalism. Wholeness might have another sense that derives from psychoanalysis. We all know that rather than having a single "will" we are in fact usually in a state of conflicting desires and urges that battle for our attention and often move us in unexpected directions (what Harold Bloom has mockingly called "the Hamlet Complex"). At worst we suffer from what early psychologists conceived of as schizo-phrenia 'a divided mind' (schizo is from Greek skhizein 'to split'). In the psychoanalytic view we integrate our disparate inner parts by gaining knowledge of our own unconscious. This is achieved indirectly through analysis of dreams, slips of the tongue, associations and so on; or directly (in psychodynamic approaches) through introspection and confessional reporting of thoughts and emotions. Our unconscious is revealed through analysis of patterns over the long term. Some Buddhists argue that meditation achieves this psychological goal of resolving psychological tensions without the need for introspection or analysis. However in the Buddhist process, outlined in the Spiral Path, integration (samādhi) precedes knowledge (jñāna) rather than the other way around. Buddhists also divide the person up into parts: body, speech and mind; five skandhas, six elements. And we mostly do this to try to show that we are simply the sum of our parts. Unlike Christians who believe that we are more than the sum of our parts because we have an immaterial, immortal soul. Thus "wholeness" for Buddhists ought to have something of an empty ring to it. Yes, it is good to be a whole person, with our faculties intact and our will undivided, but there is nothing beyond that, nothing more. As the Buddha says to Bāhiya: "in the seen, only the seen". Some take this to be a reference to the Upaniṣadic teaching about the ātman as the seer behind the seeing as found in the Bṛhadāraṇyaka Upaniṣad. As always Buddhists are keen to deny any kind of metaphysical self or soul. Sujato also says: “Religion promises us a higher way of being, a way that is in alignment with a sense of the highest good.” This frame is linked with the metaphor GOOD IS UP/BAD IS DOWN, which itself has a number of entailments that I've already explored at some length with respect to religious language in my essay Metaphors and Materialism. This spatial metaphor is perhaps the most important in the context of spirit and spirituality. If "ways of being" and "goods" can be higher and lower, then there is a hierarchy of being and goodness. Christians, following influence from Neoplatonism, refer to this hierarchy as the Great Chain of Being. Pure being is entirely immaterial, the realm of pure spirit, in later Buddhism the dharmakāya. Because it is a frame, we know transparently and unconsciously, that spirit, being immaterial is not weighed down by the earth, it naturally floats up (the Jains invoke precisely this metaphor in their version of the soul). Good spirits go UP to heaven to be with the Sky Father (in Biblical Greek 'Heaven' is ouranus = Ancient Greek Uranus, the Sky Father and husband of Gaia, the Earth Mother). The association of highest good with the highest way of being is important. In the Great Chain of Being, God is at the pinnacle: the highest being is infinitely good. In Buddhist cosmology the highest state of being is an absolute disconnection from the worlds in which one can be reborn, even the pleasant ones. One cannot say anything about the state of being of a Tathāgata after death; the post-mortem Tathāgata defies the very categories of being and non-being and even the most refined gods, in states of beings almost off the scale, cannot compare. Kūkai had a great deal of difficulty getting his 9th century Māhāyānika colleagues to believe that the dharmakāya teaches, because in their view the dharmakāya is absolutely abstract and disconnected from realms of rebirth. This reality, lying beyond any kind of knowledge, is sometimes referred to using terminology drawn from German Idealist philosophy, such as "the Absolute," or "the Transcendental" (with capitals and the definite article). Later Buddhist philosophy swings between a transcendent ultimate reality and an immanent realisation of reality (though early Buddhism is not concerned with reality at all). In this view it's axiomatic that rebirth is bad. Rebirth is what we are seeking to escape from. This means that the world one is born into cannot have any absolute value. All that seems valuable about the world is simply a product of our ignorance. The best things a spiritual person can do is renounce the world and focus on religious practices that temporarily take one higher in pursuit of a permanently higher state of being. As with many of forms of mind/body dualism, this detachment from the world does make us rather ineffective in the world. At a time when we see the environment being destroyed for example and need to mobilise feelings of engagement, Buddhism councils disengagement. Despite this some Buddhists are engaged in social and environmental projects. But this is a new departure for Buddhism, a product of Buddhist Modernism, and more Modernist than Buddhist. And given the consequences of disengagement it must be seen as a highly positive move, albeit not fully integrated yet. The vertical spatial metaphor can work in another way. Above ground HIGHER IS MORE, but below ground DEEPER IS MORE/SHALLOWER IS LESS. Verticality is with reference to the (flat) surface of the earth. Early Buddhists used reductive analysis, i.e. they went deeper, to end the rumour of ātman and to show that human beings are simply the sum of their parts, though this includes physical (kāyika) and mental (cetasika) parts. There is no soul, spirit or anything resembling them lurking inside us as other religions would have us believe. Reflection on the skandhas is probably the representative practice for deconstructing satkāyadṛṣṭi (the idea of a true substance, aka 'personality view'), but the foundations of recollection (satipaṭṭhāna) or recollection of the elements (dhātvanusati) perform a similar function. Deeper also invokes psychoanalytic ideas. After Freud we understand that much of our thought goes on in an unconscious realm. We may delve into our own unconscious with difficulty, but at times shine light on it's workings in order to gain in-sight. In those areas of knowledge where a literal spirit was not entirely credible, this dark inner-world began to take it's place. Of course the fact that we have inner-lives was not lost on the pre-Freudian world. Harold Bloom has made much of the fact that Freud read Shakespeare incessantly and appeared to be jealous of the Bard's greater insights into the Human psyche, especially in the story of Hamlet (See the Freud Chapter in The Western Canon). But recall that the word psyche itself meant something like 'soul'. C. G. Jung also chose words from this domain, i.e. anima/animus in his account of our inner life. Michael Witzel has shown that Jung's ideas about a collective unconscious are less good at explaining common themes in myth than the idea that story telling is much older and more conservative than we thought possible. Widely dispersed people have the same stories because once they lived closer together and shared a common storyline. In Witzel's mythological scheme the "Laurasian" story arc involves a first generation of humans who are heroic and perform miraculous deeds aimed at benefiting human-kind rather than the gods. Again Prometheus is the archetype. Freud, Romanticism and burgeoning Spiritualism (see below) made common cause. In The Hero With a Thousand Faces, Joseph Campbell reminded us that the new Western story of a dark inner realm visited to gain truths that set us free or make us whole, was tapping into the re-occurring myth epitomised by Orpheus who defies the gods by journeying to Hades realm to reclaim his wife. We are intended to equate the psychological unconscious with the mythic underworld, and process of psycho. The implication being that we will find treasures in dark aspects of our own minds. Thus in psychoanalysis Vitalism found another dark corner in which it could continue to exist. Introspection became one of the chief tools gaining access to this "underworld". The Romantic hero explores their own depths like Orpheus seeking Eurydice. By the time Westerners dropped their early prejudices against heathen religion and came into more substantial contact with Buddhism, some Buddhists had come to a similar belief about their inner self. This theme is more apposite in the USA since it was there that Zen took root. In Europe Theravāda Buddhism, with it's strong emphasis on anattā, was influential earlier and for longer. Zen can be problematic because it embraces tathāgatagarbha doctrine and in English expresses it in terms like "Original Mind" or "True Self" (with capitals). Without the sophisticated critique of tathāgatagarbha that is contained in Madhyamaka thought, and lacking in popular presentations of Zen (the kind that people dip rather than take seriously), it is easy to tip over into Vitalism without the help of psychoanalysis. The two combined make it almost inevitable. The word spiritual also invokes the idea of sacredness, though these days "sacred" is a rather degraded idea despite attempts to rehabilitate it. Nothing is sacred any more. That said, for many people the loss of a sense of sacredness is a serious problem and they are busy trying to install Sacredness 2.0™. Very often the target domain for modern sacredness is "nature". Not the "red in tooth and claw" nature, but the more tranquil nature typically associated with the English countryside (a giant landscaped garden). Not wilderness, which can easily kill the unwary, but the tame versions of nature that are non-threatening and easily accessible. Old trees are sacred. Certain hills. Stone henge and other archaeological sites that are presumed to have been religious in nature are rebooted as modern sacred sites, even though no one really knows what makes them sacred. We're not quite sure what sacredness means, but the tribal people our ancestors colonised put a lot of store by it. Our word taboo comes from the Pacific Islands (tapu in Māori). A tapu is a restriction placed on a person, place or object that prevents every day interactions and allows only specialised ritual interactions. Similarly sacredness puts the labelled thing outside the grasping of Utilitarianism and this can only be a good thing. The value associated with sacredness is nothing to do with money or utility. It's important in this banal age to be reminded that some things cannot be valued in economic terms. Often it is not nature per se that we value, but how we feel when we are in a natural as opposed to an artificial setting. The sacred designation, if plausible, can help to protect "natural resources" (an economic term) from exploitation and destruction. Given the destructive effects of large scale industrialisation on the environment across the planet, it might not be a bad idea to extend the sense of sacredness to all living things. However invoking the sacred via the word "spiritual" is problematic because of the other associations, particularly with organised religion and paranormal hoaxes. By confusing sacredness, in terms of non-utilitarian values, with spirituality, we in fact make it a little more difficult to defend those values. Going to this refuge, they aren't delivered from all misery. Nature is not sacred in early Buddhist thought. So, as with engaged Buddhism, what we seem to be seeing is a new departure. A necessary, but quite a radical departure. Spiritualism is a complex of ideas that particularly involve interacting with the spirits of the dead in the afterlife. The movement owes a great deal to the writings of Emanuel Swedenborg (1688–1772) which communicate his visions of the afterlife. In turn his version of the afterlife seems to owe a great deal to Dante. In fact Dante's Inferno and Milton's Paradise Lost, especially via art inspired by them, are two of the most influential religious works in the Western World. Unfortunately spiritualism has always been rife with hoaxes. Early and prominent hoaxers were the Fox sisters who claimed to be able to communicate with the dead, but one of them later confessed to having faked it. However, like the admission of the crop-circle hoaxers, the repeated exposure of fakery and fraud does not dampen enthusiasm for spiritualism. We want to believe that the dead are still with us, and not simply metaphorically. Most of mediumship depends on a technique called cold reading. This skill can be extremely effective and yet entirely fake. One modern master of the technique is Derren Brown, who openly acknowledges that he is using cold reading techniques, but is able to seemingly evince information that he could not have access to except through psychic powers. It's possible to be entirely convincing to even a sceptical audience. (See e.g. this video explaining cold reading). Brown's performance in Messiah is a remarkable display of how to dupe an audience. One spin off from Spiritualism and its interaction with Eastern religion is the phenomenon of past life regression and mundane memories of past lives. Ancient Buddhist texts suggest that if we develop certain psychic powers through spending a lot of time in the fourth dhyāna, we ought to be able to remember past lives. This ability to remember past lives gradually declines in importance over time in Buddhist texts and is hardly mentioned in Mahāyāna texts. I've dealt with this aspect of spirituality in an earlier essay: Rebirth and the Scientific Method. So I won't dwell on it here. The Skeptic's Dictionary response to "research" into this field is a useful counterpoint. One very important point for Buddhists is that all this past-life research confirms the Hindu view of reincarnation, not the Buddhist view of rebirth. So we ought to be marshalling all our criticisms of it, not embracing it. It's spiritual in the best sense of the word, i.e. concerned with spirits and eternal souls. The success of Spiritualism, despite the exposure of so many frauds, forms part of the background against which modern Buddhists assess the relevance of Buddhist ideas. Modern Buddhists are almost all converts from Christian societies, even if the converts themselves were not Christian. Beliefs like rebirth and universal fairness (karma), subtle bodies, and the life's breath (prāṇa) are easy to assimilate if we already believe in ghosts, communication with the spirits of the dead and the other phenomena associated with Spiritualism. In fact for some people it's almost as if the Enlightenment never happened. Certain relatively uncommon experiences are referred to as spiritual or mystical. These include so-called out-of-body experiences, or near death experiences and other experiences that seem to point to a clear mind/body dualism or more precisely to a consciousness that is able to exist independently of the body. This taps into the idea of the spirit as distinct from the body and thus points to a strong version of mind/body duality. Thomas Metzinger has decisively showed, in The Ego Tunnel, that the out-of-body experience is not what it seems. In fact a better explanation can be found in the way that the brain constructs our sense of self and how that process can breakdown. I've also dealt with this in Origin of the Idea of the Soul. Another kind of experience often associated with meditation is important (though also associated with potent hallucinogens like LSD). It seems to have two poles. At one pole the subject-object distinction breaks down and leaves one with a sense of nothingness or no-thing-ness. In the traditional Hindu description there is just saccidānanda 'being, consciousness and bliss'. One is entirely disconnected from the world of sense experience, from mental activity as normally understood. There is no sense of self, nor of being located in space or time and thus no other, no world. In Buddhist terms experiences of this kind are referred to as the arūpa or formless dhyānas. At the other pole the subject-object distinction breaks down leaving one feeling connected to everything. One feels that one is the universe, that there are no distinctions between self and other. Again there is no sense of self, but one feels located everywhere in time and space, one feels one is the world. and the world is oneself. It is the feeling that "all is one". Both of these seem to have a profound impact on the person experiencing them and can radically alter one's perspective on everyday waking experience. Almost inevitably the person who has this experience believes there is "more". More to life; more than meets the eye; "more than is dreamt of in your philosophy". And the "more" is spiritual. It can also be associated with the idea of a transcendental, ineffable reality. This hard-to-reach reality is higher, better, deeper, etc than everyday life. In fact compared to reality, everyday life is hardly worth living. Some people get a glimpse of this kind of experience and spend the rest of their lives trying to get back to there. This kind of story is high reminiscent of the story of the Holy Grail, particularly as it is outlined by Emma Jung and Marie-Louise von Franz in The Grail Legend . Often what Buddhists seek is the Holy Grail, the transformative experience that will leave them in a state of grace. Visions of "higher" beings are also sought-after mystical experiences, especially if they are accompanied by a sense that the vision is more real than reality. Often visions are of human figures, anthropomorphisms of values we hold dear, or saints. Usually visions are culturally specific. Hindu's see Śiva, Viṣṇu or Kāli or one of the 33 million other deities; Christians see Christ, Mary or angels; Buddhists see Buddhas and Bodhisattvas. And so on. It's not unusual for Western convert Buddhists to see visions of Christ, simply because they grew up Christian and our culture is saturated with images of a Westernised Christ. We notice this with imagery, visions and icons take on the regional characteristics of the people they appear to. Monastics have often used extreme techniques to achieve such visions: starvation, sleep deprivation, extremes of heat and cold, flesh wounds (from self-flagellation) that become infected, and other painful austerities. Meditative techniques are a more humane way of approaching having a mystical experience, but still require considerable dedication to repetition and duration of practice. What is interesting about mystical experiences is that the individual phenomena can now be reproduced in the laboratory using a variety of techniques that physically affect the brain (be it accidental damage, surgery, drugs or electro-magnetic stimulation). Thus the arrow of causality points from brain to experience. There is no doubt that the experiences are significant to those who have them, but also little doubt that the significance is imposed on the experience by the experiencer. Mystical experiences are not what they seem. On face value they are what the mystics have always said they are; but we can look beyond the face value now. And we see that the value we place on such experiences is a human value. And this is not to say that the experiences are not valuable or transformative. But they do not always mean what they are said to mean in a pre-scientific worldview. Another caveat on discussing such experiences is that they are difficult to distinguish from hallucinations. An hallucination is when someone sees, hears, smells, tastes or feels things that don't exist outside their mind, but which nonetheless have a vivid realness about them and are mistaken for things which do exist. Hallucinations and spiritual experiences have very different valuations, but how we determine which is which may be entirely context dependent. In 2009 the Pew Research Group reported at about half of all Americans had had a "religious or mystical experience. This is more than double the number recorded in a 1976 Gallup Poll. In their analysis the bulk of the increase seems to come from Christians and those who regularly attend religious services, with as many of 70% of some evangelicals claiming some kind of experience and a clear correlation with frequency of attendance at a religious service. The level is also fairly high (30%) amongst unaffiliated religious people (SNBR?). About 18% of people with no religious inclinations report experiences of this time. Mystical experiences are much more likely amongst people who expect to have them: people with strong religious beliefs, who regularly participate in religious activities. But even non-religious people appear to have mystical or religious experiences fairly commonly (one in five adults). In an essay like this, one can only touch on the main points of a complex argument. Clearly the frames that help to define the word spiritual are many and varied. Each of us works with thousands of frames. We can see that some of the main frames activated by the word spiritual involve a Vitalist worldview or mind/body dualism. There is a possible defence against this charge which is similar to the one that sparked this analysis. One may argue that even when, for example, the higher frame is invoked (along with the various associated metaphors like GOOD IS HIGHER) that one is not intending to invoke religious ideas from Christianity. However we don't have a lot of control over the frames we use. Frames structure our thoughts, but do so unconsciously. And even if we ourselves use words with more than average deliberation (and as a writer let me assure you that this is much more difficult than it might appear) we have no control over what happens in the minds of our readers/listeners. The question of whether Buddhism is or is not a religion is moot, though if it is not a religion then what is it? The idea that Buddhism is spiritual or concerned with spirit is just wrong. Most of the main frames invoked by spiritual just don't fit very well if at all. In some cases, as in the revaluing of nature are helpful and in other cases not so much. When Nixon went on TV and said "I am not a crook" it was probably the first time most people thought of him in terms of being a crook. But from that time on, most people thought of Nixon as a crook. For the group of people who believe that Buddhism is not a religion, the statement "Buddhism is not a religion" only reinforces the Buddhism/religion connection in the minds of hearers because the word invokes the frame. As "spiritual but not religious" simply reinforces the connection between spiritual and religion. The desire to contradict an argument in yes/no terms is strong, but if one wants to define Buddhism in a certain way, then one can only use words that are consistent with that definition else the message is mixed. People who invoke spiritual when referring to Buddhism probably do so because it's familiar. It taps into centuries of religious ideology. I see it rationalised in a variety of ways. But my view is that the choice of words lends advantages to certain sections of society. The next essay will shift the focus from how the word is used to who uses the word; the politics of spirituality. Who wins by linking Buddhism to the various spiritual frames? Who loses? George Lakoff on frames and framing. (1990) Women, Fire, and Dangerous Things. (2004) Don't Think of an Elephant: Know Your Values and Frame the Debate.